Teenagers committing crimes online are being targeted by the National Crime Agency. The campaign aims to warn young people about the dangers of hacking and using online tools for cyber-attacks. The CyberChoices campaign comes after NCA research revealed the average age of people involved in its investigations was 17. The research indicated few teenagers knew what constituted a cybercrime or what would happen if they were caught. “Over the past few years, the NCA has seen the people engaging in cybercrime becoming younger and younger,” said Richard Jones, head of the Prevent team at the NCA’s Cyber Crime Unit, in a statement. 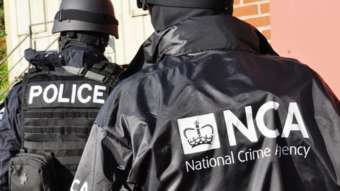 For example, he said, an NCA operation against users of an online attack tool known as Lizard Stresser resulted in seven people being arrested – all of whom were under 18 years old. The CyberChoices campaign builds on work the NCA did after Operation Dermic in 2014 against users of the Blackshades remote-access Trojan (Rat). A total of 17 arrests were made as part of that operation. Follow-up activity involved 80 “cease and desist” visits to known purchasers of Blackshades – 500 emails and letters were also sent to people known to have bought the cybercrime kit. Many of the people contacted were teenagers, still living at home. The youngest Blackshades buyer was 12 years old. “We know that simply criminalising young people cannot be the solution to this, and so the campaign seeks to help motivate children to use their skills more positively,” Mr Jones said. The NCA has produced a range of materials that spell out UK laws governing computer misuse. They also deal with the most common types of cybercrime teenagers tend to be involved with. Many young people had been using attack tools that knocked computers offline, said Mr Jones, while others had turned to remote-access programs that let them spy on people and steal data. Mr Jones said teenagers often indulged in these types of attack to impress or “prank” their friends. However, he added, the abuse of these tools could often escalate and involve those using them committing “higher level” crimes without them being fully aware of what they were doing. “We want these young people, and their parents, to understand that choosing that path can result in a criminal record, can limit their choices for their future, and can put restrictions on their daily lives including the loss of access to the internet,” said Mr Jones. The materials include guides for parents and lesson plans for teachers as well as video testimonies by young former hackers about what they did and the consequences they have suffered. “We have aimed the campaign initially at parents, because we know from research that they often are unaware of what their children are doing online,” he said. European policing organisation Europol said it too had seen a rise in criminality among teenagers and younger computer users. Europol regularly runs campaigns to educate these groups about how low-level cybercrimes can escalate. “A lot of people can grow accustomed to using crime kits very easily,” said Jaap van Oss, a team leader in Europol’s Cyber Crime Centre. “We have larger programmes throughout the EU where we specifically target those younger users of those tools,” said Mr Van Oss. Targeting these younger people was the “right thing to do”, said Gabriella Coleman, an anthropologist at McGill University in Canada who studies online life and has written extensively about the Anonymous hacking collective. “There are probably hordes of young hackers who are attracted to forums simply to learn to explore a secret world and who never act upon the knowledge or tools they get from these forums,” she said. “It is good that law enforcement has an awareness and an ability to differentiate between those who are dabbling and testing and those who are truly using these tools for criminal operations,” she added. The CyberChoices materials will be made available via the NCA’s website as well as its Twitter, Facebook and YouTube pages. It is being supported by several partner organisations including GetSafeOnline, the Cyber Security Challenge and the Crest organisation, which represents ethical hackers.